`‘Connect, Invest, Transform’ - that’s the message a Lisburn Castlereagh delegation is bringing to the UK market through the launch of a £250 million investment plan proposition led by the Mayor, Councillor Uel Mackin. It was officially launched by the Mayor at the council’s annual investment & business networking event in the Mansion House, London to an audience of over 200 businesses, investors, developers and key influencers. This 10 year investment proposition outlines our investment ambitions to meet the aspirations of our area and our residents. It will transform and modernise the approach taken by the council to develop key capital & infrastructure projects, community empowerment and economic growth. A key theme of the proposition is innovation and a digital first approach. This is in keeping with the theme of the Mansion House event hosted by The Rt. Hon. Sir Jeffrey Donaldson MP in partnership with the City of London Corporation. 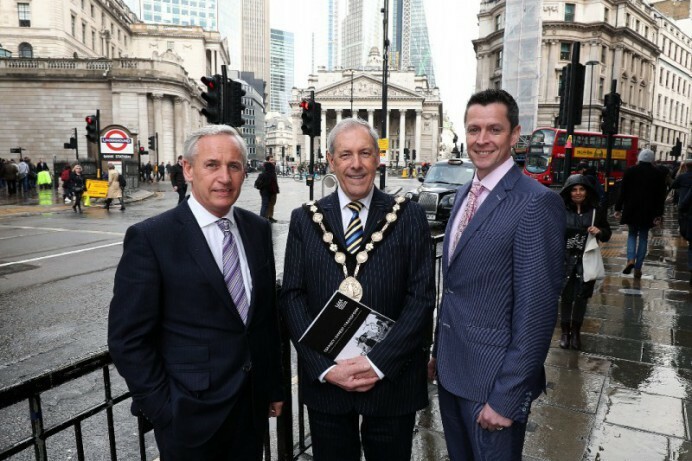 The Mayor, speaking about the council’s proposition, which received full council approval, said: “Lisburn & Castlereagh is investment ready, and we have a number of prime development opportunities to showcase this week in London. I challenge our private sector, statutory partners, and communities to come on board with us to deliver a shared vision. By working together we can leverage further investment to add to the £250 million profiled in our plan. “Our communities, our businesses and our area matter; and we want to modernise with this plan. We will adopt a more commercial culture to our business decisions, which will help keep rates low and retain effective service delivery. The council intends to develop new funding streams to support investment, local businesses and jobs growth as well as improve the city centre and community infrastructure. “While we have drafted this proposition we are very open to suggestions on projects. This plan is now open for feedback and we want to hear your thoughts on it and how all our stakeholders can work together to deliver it to the betterment of Lisburn Castlereagh,” concluded Councillor Mackin. Lisburn & Castlereagh City Council will fund this proposition through prudent financial planning, the leverage of existing financial commitments, appropriate partner resources, third party funding streams and its ambitious efficiency programme. The plan includes its share of the Belfast Region City Deal investment, the first City Deal in Northern Ireland, and the Council’s profiled capital investment.